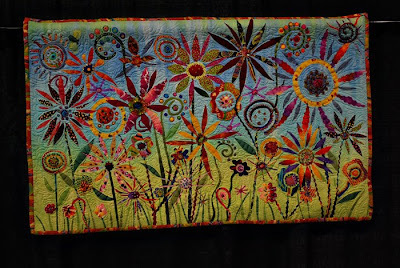 Rather than write about how beautiful all of the quilts were at The Road to California Quilt Show, I thought it best to show you. Look What I Caught by Laurie Britt. 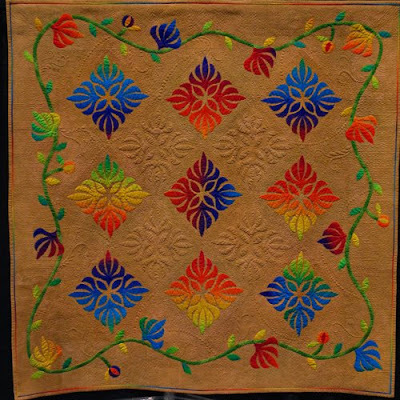 Laurie Britt is new to quilting. As in 2 years new. Amazing! 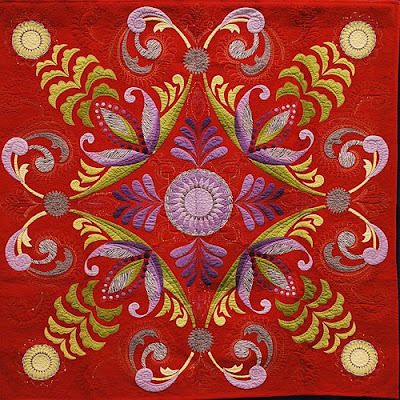 The technique used was raw edge applique. 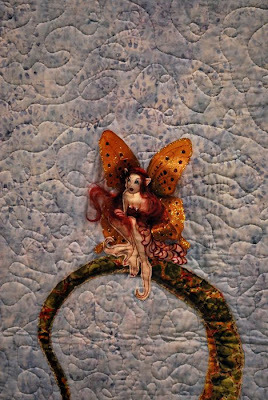 A close up of the cute little fairy on the dragon's tail. 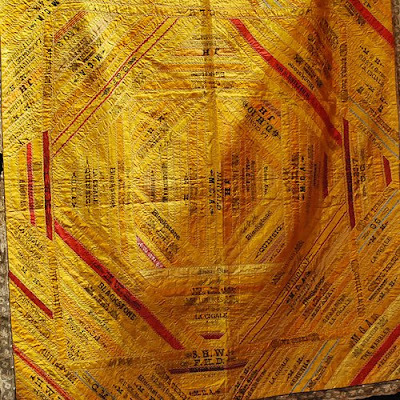 This quilt is called Cigar Quilt, and it's from the 1890's. I thought of Jodi from Vintage Ric Rac and her beautiful selvedge dress. 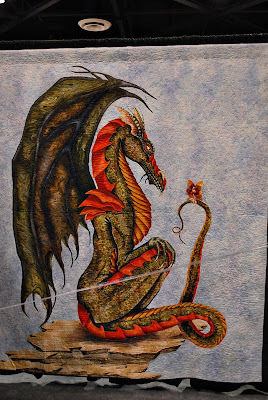 I think she would appreciate this quilt. Another highlight of the show was the array of vendors. 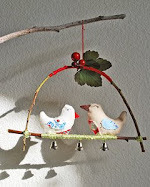 One particular vendor, Bird Brain Designs, carried a wide assortment of wool roving and needle felting supplies. 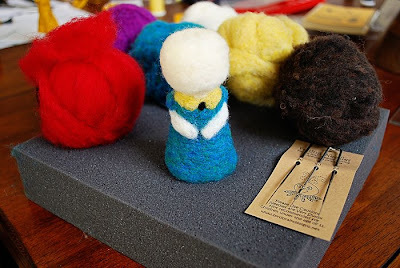 I have been on the look out for needle felting supplies every since I viewed Yu Yu Art's Cutie Girls. Aren't they cute?! She has an etsy shop too. Up until Yu Yu Art came along, I have never had the slightest itch to start needle felting, and now I feel as though I have a serious case of needle felting poison ivy. the Spring Break quilt is super cute! your eyes must've had a field day! 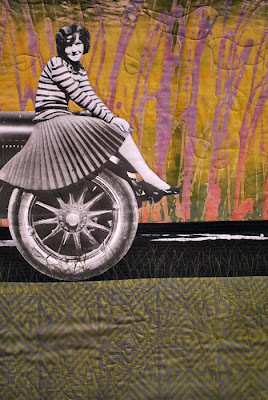 I always find quilt shows to be very inspirational and at the same time completely overwhelming (but in a good way). 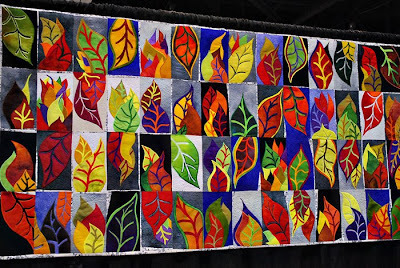 Thanks for sharing some fantastic quilts! If you could have heard me I'm sure it sounded like I had some kind of respiratory difficulty as I kept gasping at each new photo, lol.